Klee, master of becoming, persistently rejected perspective and the single viewpoint in order to introduce numerous visual ambiguities. 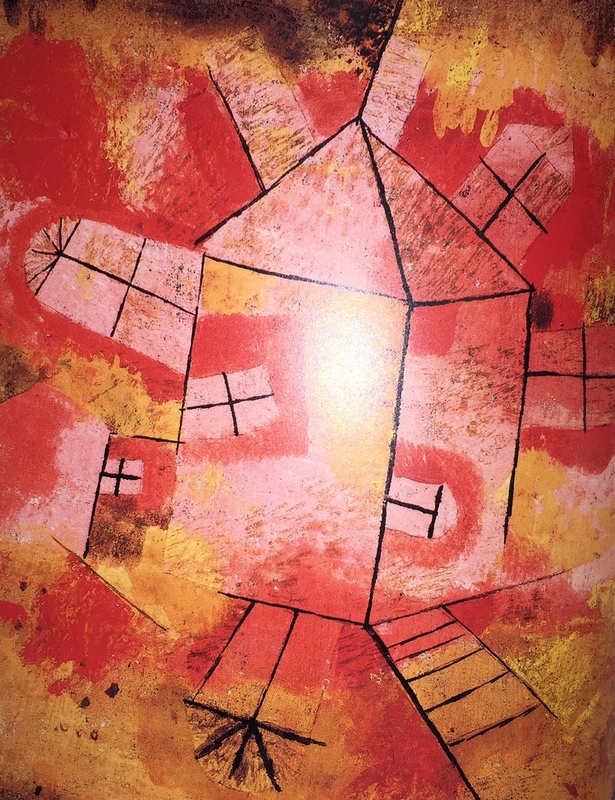 Instead of seeing architecture as something static, in Revolving House (this is the detail of the painting which could also be read as a city) there is dynamic element into the conception of the houses, causing them to revolve around a centre, as if to imitate the rotation of a the earth. His architectures live and become, mirroring life itself, nature and the stars.